An excellent second album from Florida's good time 70s multiracial poppy soul/funk outfit. The sound, as is the case on all these remasters from BBR (Big Break Records) is truly outstanding. Great 70s stereo separation. 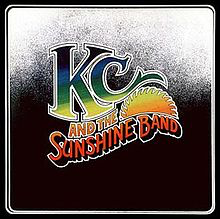 After an impressive debut album in 1974's "Do It Good", KC were back in late 74/early 75 with this, bang in the middle of their commercial zenith. Kicking off with the funky "Let It Go (Part One)", we then get the two massive hit singles, "That's The Way I Like It" and "Get Down Tonight", pre-77-78 disco disco smashes. I much prefer the extended album versions to the single versions. "Boogie Shoes" was also a hit, and achieved belated popularity as part of the "Saturday Night Fever" soundtrack. Great mid song guitar groove on this. "I Get Lifted" was also recorded by JayBoy label-mate George McCrae (for whom KC wrote songs and musically backed). KC's version is more poppy, but still addictively funky. The rest of the material is in the same vein - jaunty, upbeat poppy soul/funk - "Ain't Nothing Wrong" has a great funkyguitar/rumbling bass intro and a catchy laid back chorus hook - no pretensions to be anything else, just half an hour of good fun. It didn't get any better than this for KC. Oh, and "I'm So Crazy (Bout You)" was surely the inspiration for Wham's "I'm Your Man" and "What Makes You Happy" has more than a feel of Parliament about it. 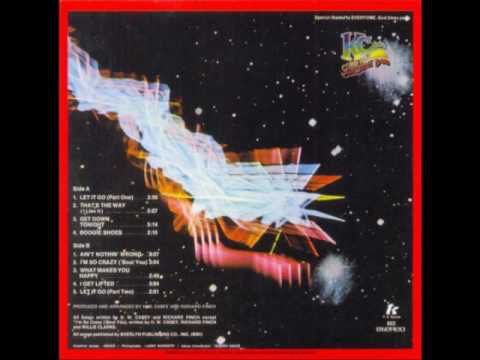 Just a great 70s album from a great 70s band. Thanks for the memories.